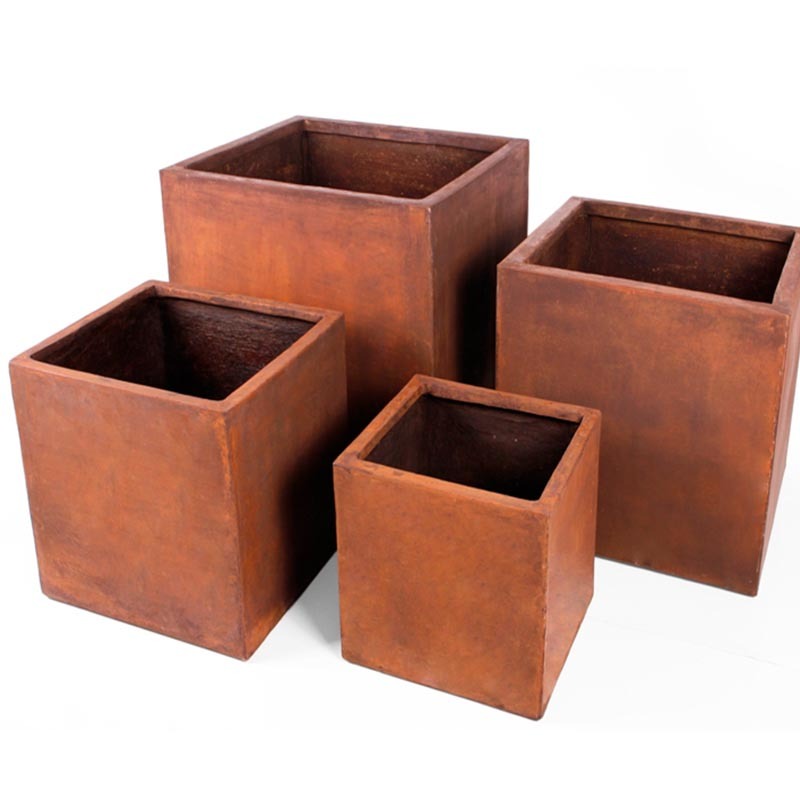 These GFRC pots come in a set of 4 and are avaiable in two colours. Ideal for indoor and outdoor use. Sizes: Extra Large 70 cm x 70 cm x 70 cm Height ; Large 60 cm x 60 cm x 60 cm Height ; Medium 50 cm x 50 cm x 50 cm Height ; Small 40 cm x 40 cm x 40 cm Height. Pallet Delivery Required - Min £25 surcharge - Please contact support for details.